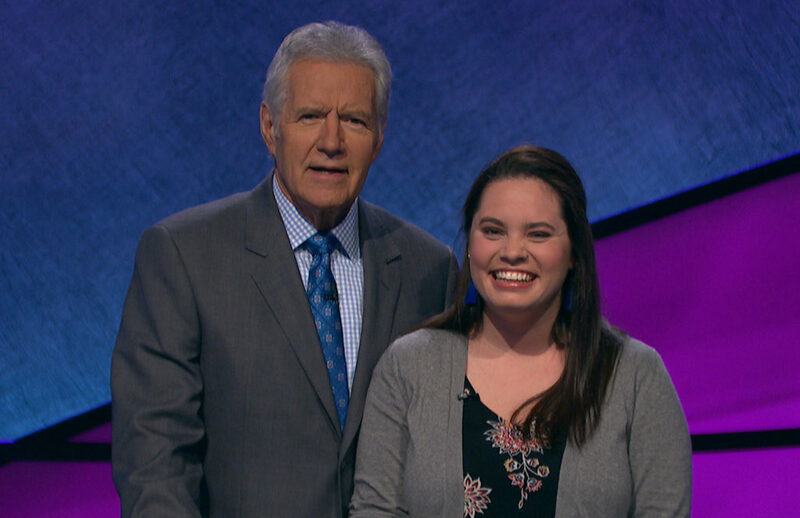 An Arlington PR professional will get a chance to show off her smarts on “Jeopardy!” on New Year’s Day. Maggie Byrd will be one of the contestants on the long-running quiz show on Jan. 1., according to a release from the show’s producers. Byrd works in communications for the Crystal City-based Consumer Technology Association. She joins a variety of other Arlingtonians to face questions from Alex Trebek over the show’s 35-year history. An Arlington social worker even took home $19,000 in prize money from the show just last year. “Jeopardy!” airs locally on WJLA (ABC 7). Photo courtesy of Jeopardy Productions, Inc.